The small village and seaside resort of Saint Laurent du Var is a much relished destination due to its beaches, nautical possibilities and dynamism. 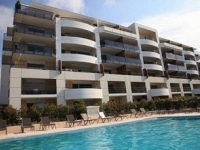 Saint Laurent du Var is located between Cagnes sur Mer and Nice. Here, you will love the beaches of pebbles or thin artificial sand. The old village of Saint Laurent du Var, albeit small, rightly deserves your visit. Its entrance has an unmistakable atmosphere, full of traditional restaurants. If you ever wish to go shopping, you can do so at the 'Cap 3000' commercial center, which is always crowded with people coming from as far as Italy. Saint Laurent du Var is an ideal place because it easily allows for further touring around the region. Seasonal studio renting in the French Riviera's Saint Laurent du Var. 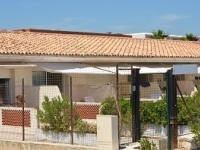 0 m² holiday accommodation for 3 people, located in the town of Cagnes-sur-Mer (Provence-Alpes-Cote d'Azur in France). This holiday property is composed of: Shower room, Shower room with toilet. 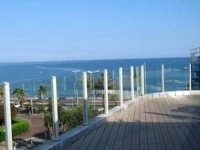 Self catering accommodation for 2 people in Cagnes-sur-Mer (06800) close to Sea. 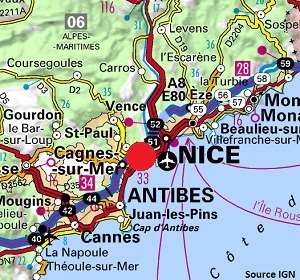 Self catering accommodation for 2 people in Nice (06000) close to Water activities. 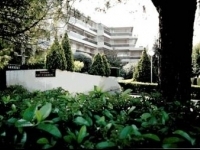 Self catering accommodation for 2 people in Vence (06140) close to Shops. 23 m² holiday accommodation for 2 people, located in the town of Villeneuve-Loubet (Provence-Alpes-Cote d'Azur in France). This holiday property is composed of: Bathroom, Separate toilet, Living room.